There are 198 posts in this topic. You are on page 4 of 4. I got my copy from Steve @ Pinball Resource, I put in a parts order and saw he offered it. Last bit of new shipping supplies should be here tomorrow (hopefully) and I will be fulfilling orders again. Thank you all for your patience. In case you missed it, folks are talkin'. 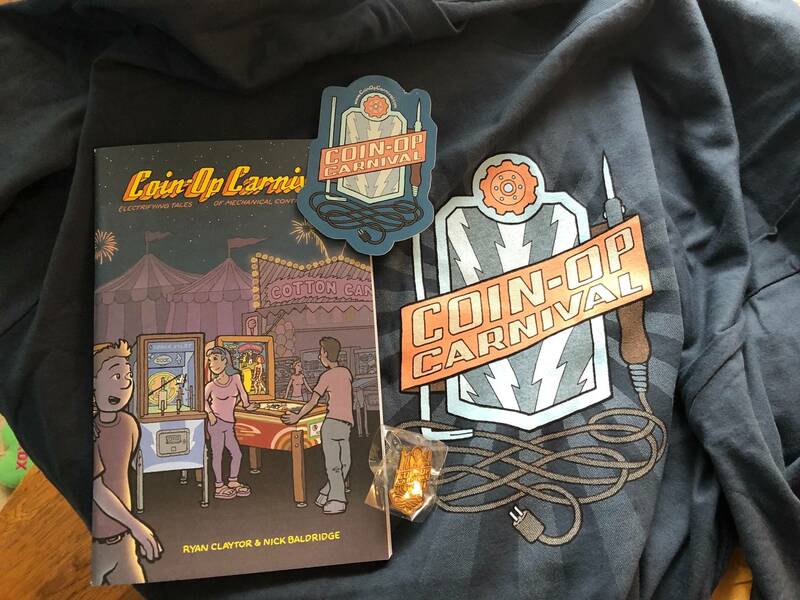 Finally, we shipped a copy of Coin-Op Carnival #1 to Gary Flower of the upcoming Midwest Gaming Classic. That will be available as part of their charity auction. Here's hoping it goes for way more than cover price. Have the international orders been sent? I haven't received my copy or any shipping confirmation information. A large batch of international orders has been sent as of last Saturday. I am shipping all orders in order of receipt. Several Australian orders were in that batch. My small bag shipment was delayed by a day, and is scheduled to arrive today. I'll be fulfilling more orders as soon as those arrive. They also had some very nice things to say about the Multi-Bingo right after the Coin-Op Carnival talk! Great, thanks for the update. I'll be on the lookout for a delivery in the next week or so. I got notification today that my departed on it's long trip down under, looking forward to it. Hey everyone - will pinballstar be selling this stuff at Allentown? I know that was mentioned in an earlier post. Would love to save the shipping cost. 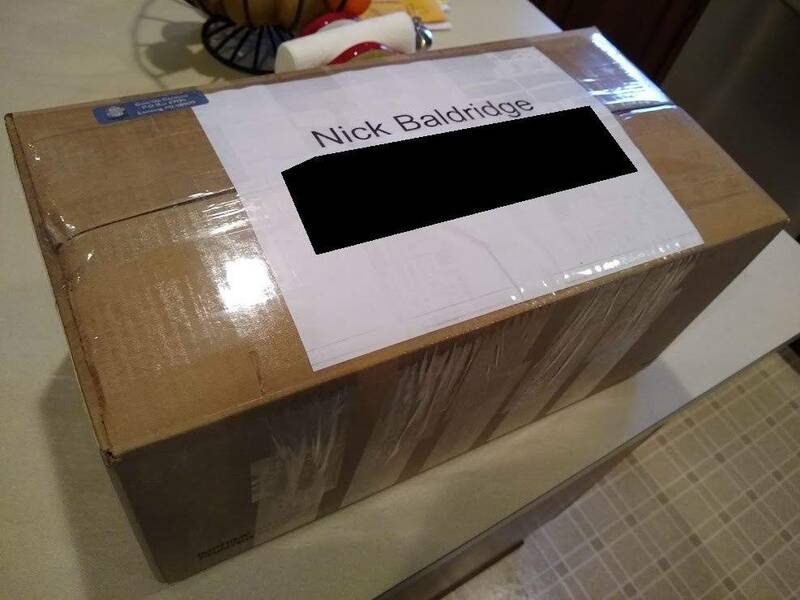 My parcel is already in Europe, thanks Nick! Thanks for your support, Jady! Can't wait to hear what you think! Ha-ha! Thanks for the confirmation, Ben1981! Fingers crossed for quick customs clearance! ...and thanks to you both for the international orders! will pinballstar be selling this stuff at Allentown? 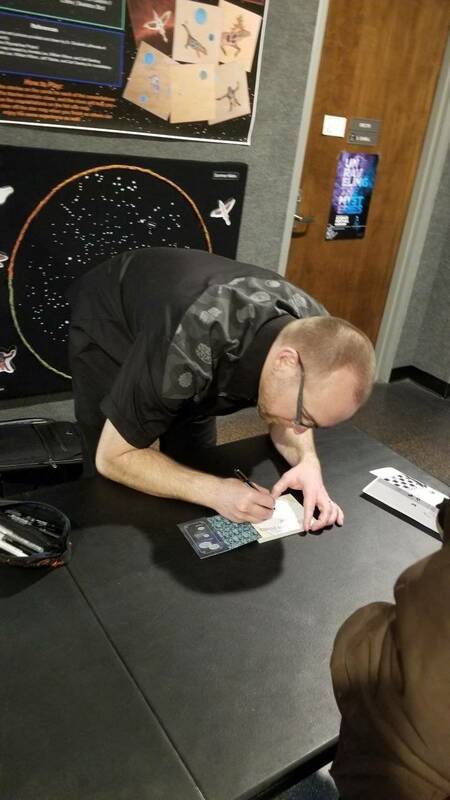 Joe Newhart (of Pinball Star) is a HARD-workin' fellow and a good-hearted one to boot (as you saw from his offer earlier in this thread). We chat with Joe at TPF a couple weeks back and I think we managed to convince him our publication wouldn't be worth his time at Allentown, despite his generous proposition. Ha-ha! All that to say, Coin-Op Carnival will not be offered at Allentown. Our apologies. So I read this cover to cover last night and- Awesome! I enjoy it immensely! Well written with nice humorous images and stories. I love the font! It's fun and it reminded me of all of those little 'books' or 'stories' that Tim Arnold would do with his identifiable hand-written printing. Keep it up guys, can't wait for future editions! Personally, I think these guys are staying amazingly ontop of their orders. Especially considering they produced their quality product exactly when they said they would; As well as that they are going to SO many shows/events as well. This is a very fun little extra venture they are doing and at a great price. I would honestly be shocked if ANYBODY was disappointed! I am disappointed that I am going to probably have to wait until late next year before seeing the next issue. I am disappointed that I live 1 1/2 hours east of Richmond and according to the tracking our USPS sent my book from Richmond Va to Greensboro NC before returning it to me in Va. It’s not Coin Op Carnivals fault. Looking forward to getting the book. Thank you! I've seen a few more French orders come through - much appreciated ballycrazy! Thanks, Jady! We appreciate the confirmation and feedback! "I am delighted to announce we are offering a new publication (book 1 of a promised 4 book offering) called COIN-OP CARNIVAL co-authored by Ryan Claytor and Nick Baldridge. The presentation is really engaging and informative. 3 more books are promised at a later date....due to the immense amount of art-work needed to be created by hand, it is expected that this may take several years for each [hopefully just a couple -Ryan ]....but well worth the wait. I know all this stuff, but still read it from cover-to-cover and enjoyed it! Book is 5-1/2” x 7-1/2 [ actually...8-1/2" -Ryan ]”. 64 pages, quality paper and presentation. Those are some pretty high words of praise! Thanks, Steve Young! In addition to that, today marks 12 days since shipping commenced. I wanted to address a minor issue in an effort to be completely transparent. 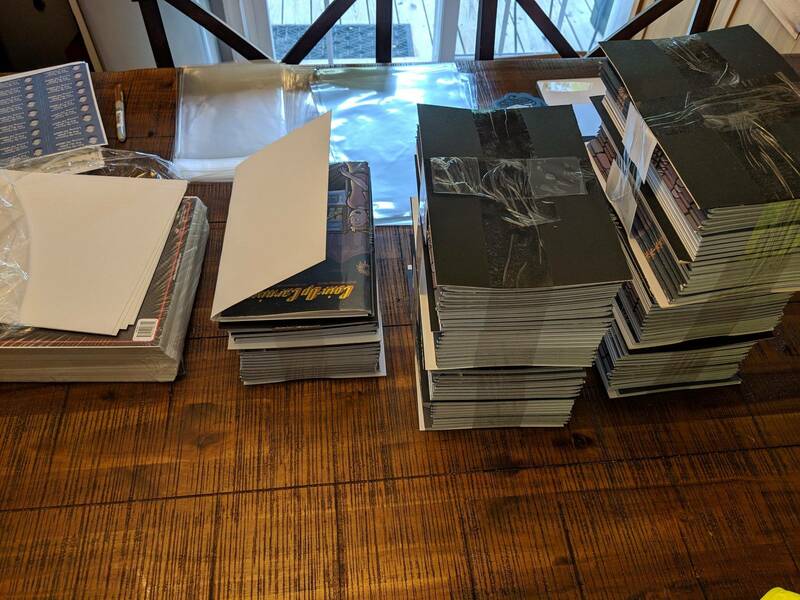 First, as Nick has mentioned, he has been fulfilling book purchases in sequential order, first ordered will have the first shipped, and so on. We're also incredibly fortunate to have such overwhelming support from the pinball community. We don't say that lightly, either. In fact, the support was so overwhelming that Nick blew through all our shipping supplies. Naturally, the supplies we're using aren't available locally. 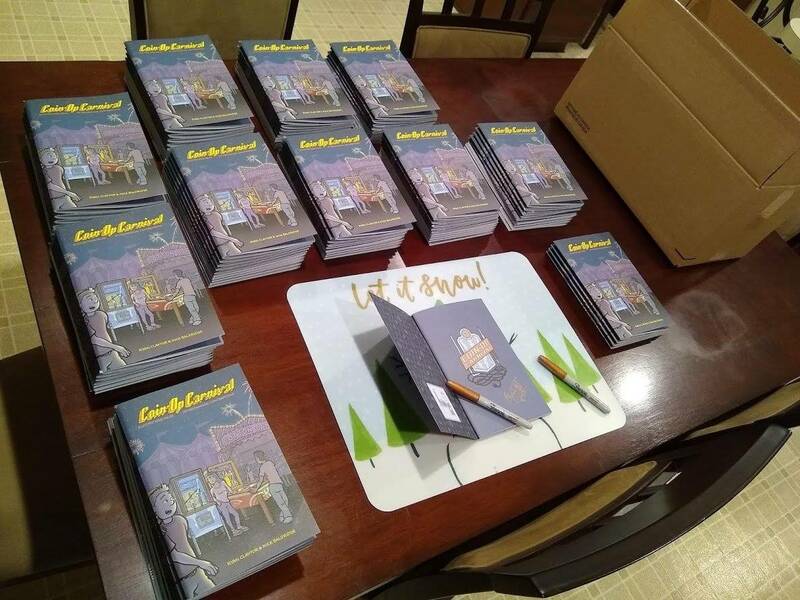 Then when that situation was remedied, all of Nick's stock of books were shipped before I had a chance to sign another 100 and ship them his way. Those hundred books should have arrived to Nick yesterday, but there's a situation with the US post office. We just received a shipping status of "Dead Mail / Sent to Mail Recovery Center" which we're pretty sure means that those 100 books are completely destroyed or there was a mistake in entry. So there's the bad news. The good news is that we WILL sort this out. I have more books, so even if those 100 were somehow destroyed, we're okay and will take care of it. My plan is to start signing another 100 tonight and send them to Nick asap. Why don't I send them out? Well, if it comes down to it, I might. However, in our publication partnership, Nick has agreed to take on shipping duties to allow me to focus on other Coin-Op Carnival tasks, like drawing the next issue. All this to say, we've received a letter or two inquiring about the status of the shipments. I'm hoping this public statement will alleviate some of the uncertainty of where your order might be. We have it, it's in the queue, and I have the utmost confidence you will receive it. However, if you feel unsure about any of my statements in this section, we're more than happy to refund purchase orders if that would make you more happy than to wait for your package to arrive. Ultimately, this is a passion project of ours that we hope will provide others with the same joy and enthusiasm for this innovative era of games that Nick and I feel. If that ever becomes a different case for you, please let us know. We promise you we'll make it right via order fulfillment as soon as we possibly can, or a full refund. ...we'll have a handful of Wayne Neyens designed games on free play for all to enjoy. Well, I've got a list to share with you. 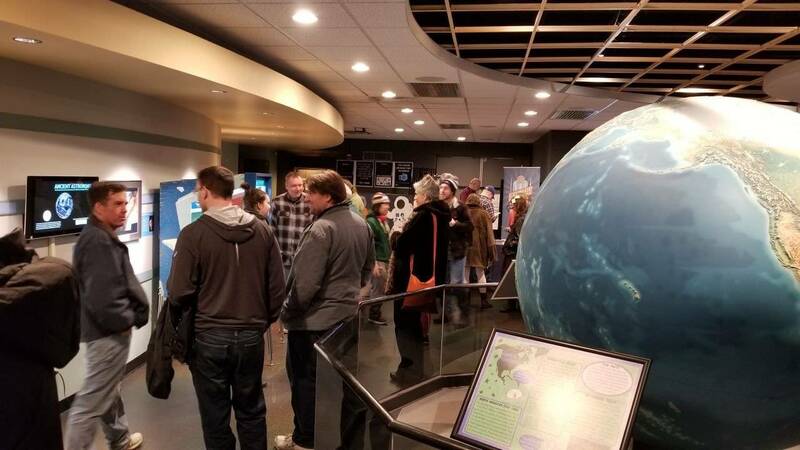 ...for Michigan locals, none of these pinball machines are in a publicly accessible location, even @cfh 's impressive, era-spanning, VFW collection. 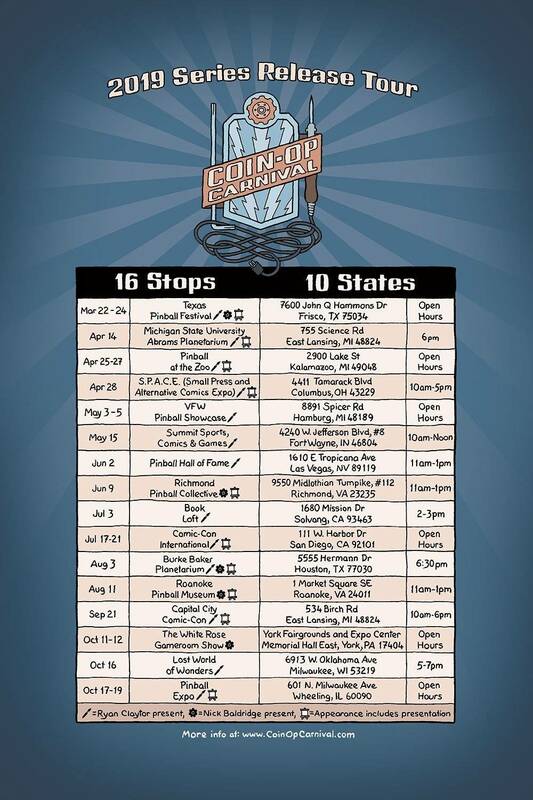 And for you out-of-towners, this will be the only tour stop were you can play both featured E.M. games from Coin-Op Carnival #1 (Mystic Marvel and Space Pilot). All this to say, I hope to see you there. Admission is free, but space is limited so I'd suggest arriving early if you'd like to secure a seat. Take care, all, and our sincere thanks for your interest in our project! Why don't I send them out? 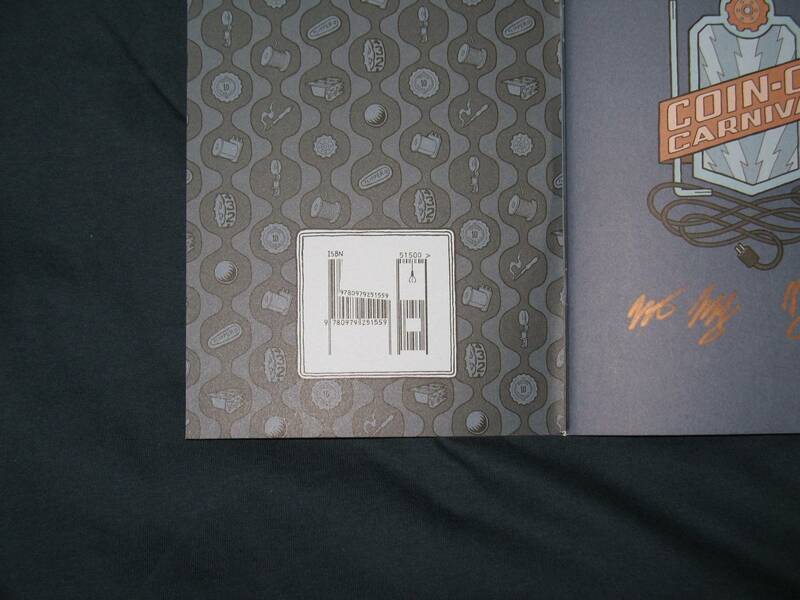 Plus you wouldn't get my squiggles on the inside of the book if Ryan sent them out. We just received a shipping status of "Dead Mail / Sent to Mail Recovery Center" which we're pretty sure means that those 100 books are completely destroyed or there was a mistake in entry. So there's the bad news. Nick managed to get in touch with the post office this evening, but we know about as much now as we did prior to talking with them, which isn't much. He tried asking if our box o' books was really dead, what we should do, etc. Was told we can file a claim after 30 days or so to get back some pittance maybe. There's also the possibility the books will just show up. They had no clue. I made it through over 100 signatures tonight. I should finish packing them tomorrow at some point and have these sent out to Nick in the next day or two. I packed over 100 signed books last night and this morning, took 'em to the post office and insured them this time. Ha-ha! Maybe that will make a difference(he says with naive hope)? Anyhow, we'll update when they arrive safely and order fulfillment resumes. Thanks for your patience, everyone. The original was insured, just for the default amount. My bet is that both boxes will show up on your doorstep the same day. Can't wait to share this evening with everyone! Ordered - looking forward to checking it out. Good luck! Thank you so much Ryan for all that you've done in putting this amazing book together and for a superb presentation last night, that 360 view was beyond words. 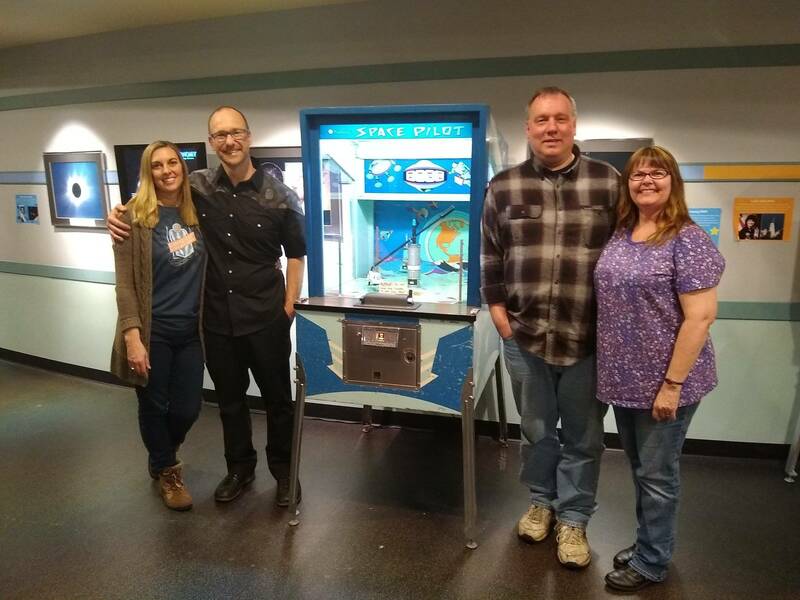 It was great listening to Wayne's stories of how things were "back in the day", he's truly a huge part of the pinball history we all love to know more about. If anyone is thinking about getting Ryan's book do it now and get it while you can as I got a feeling it's going to be selling out at some point, especially because of guys like me that bought four of them......LOL. Thanks again Ryan and also to Nick, keep up the great work!! 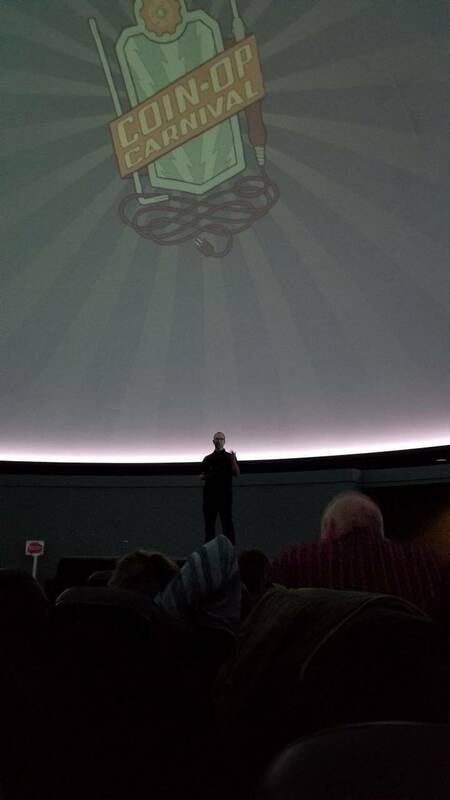 It would be great if you could do this at the Balboa Park Planetarium in San Diego during SDCC! Just received my copy and really like the production of this publication. Congrats on bringing this to fruition! For future publications will you email those that ordered the first? I am in on future publications but have to admit I am not constantly looking on Pinside for these types of things so hoping you all compelled an email list to send out once the second one is ready! 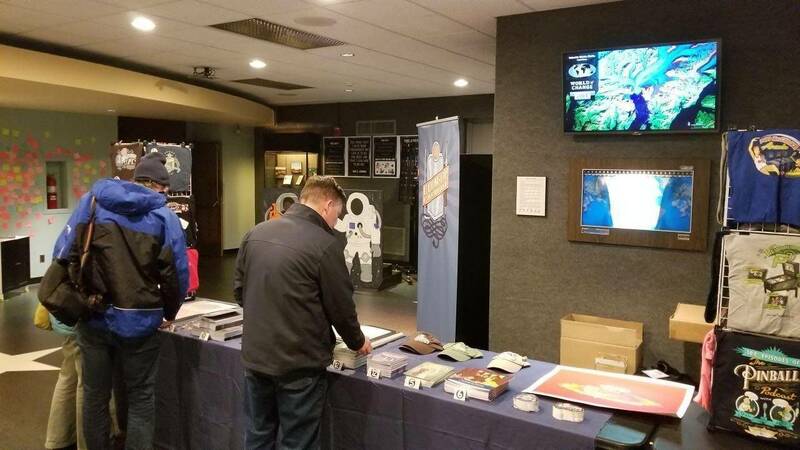 What else was on the merch table besides the magazine? For future publications will you email those that ordered the first? Ryan has a separate mailing list for Elephant Eater Comics that will be posting updates for Coin-Op Carnival. 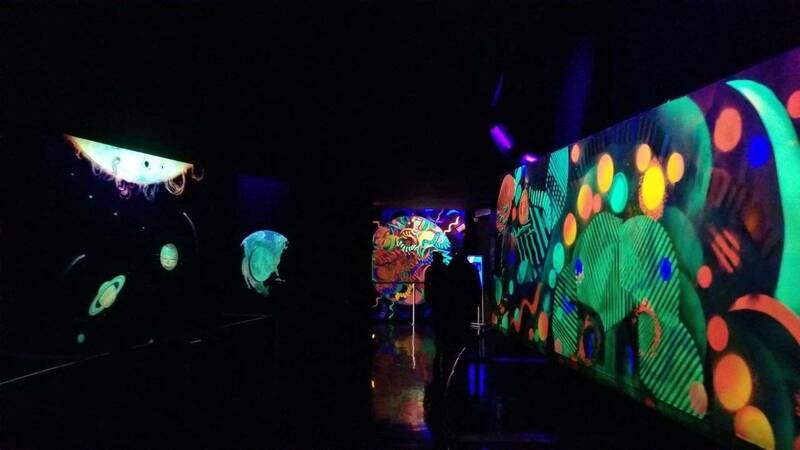 You can sign up by following the instructions at http://elephanteater.com/contact under Quarterly Email Update (basically shoot him an email and ask to be put on the list). In other news, it's been a scary time - the USPS appeared to have lost the second box of books. It was originally scheduled to be delivered Monday of this week, but fell out of the tracking system in an eerie repeat of the last box. This morning, it was recovered, and is up in the DC area. In the next few days I should have the second box and can begin shipping orders again. Thank you everyone for your patience. I'll be living at the mailing area in my house (my kitchen table) until they are all fulfilled, and I'll post another update once the shipping resumes! The first box is still MIA. The person I spoke to at the USPS was apparently more interested in getting me off the phone than in providing me accurate information. I did some more poking yesterday as it was 15 days since the date of mailing. I was told that 30 days needed to have elapsed before I could file a claim. As it turns out, that's exactly midway between most mail (15 days) and registered mail (45 days). I wonder why she gave me that figure, as it's not actually useful for either...? Anyway, after yet more digging, I found out that I could submit the missing mail claim at 15 days as well, and I did so yesterday. There's no way that that box will arrive before the other, but it would be nice to find out what happened to them. The interview with Mr Nyens was wonderful. You must have had so much fun doing it. Thanks for taking the time and initiative. Love it! Can't wait for the next issue. Some of Ryan's previous works including biographical comics, art prints(some from this book) and shirts. The whole presentation was a hit in my opinion. 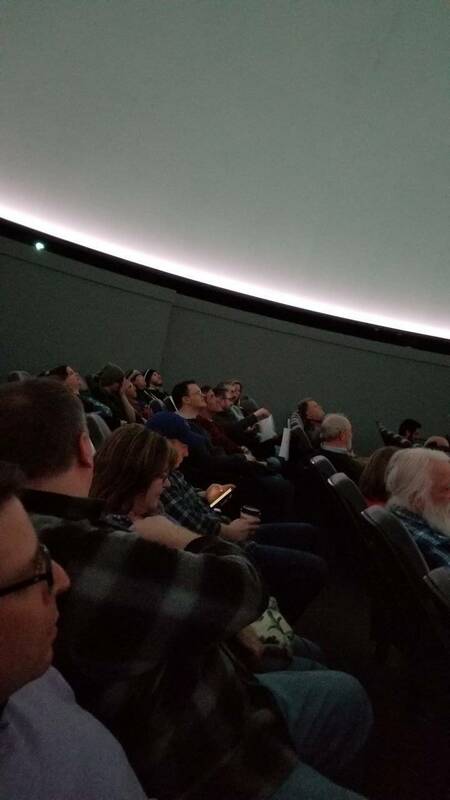 The 360 video on the planetarium dome projection screen was very well done(We were basically in Wayne's garage and office). I heard several comments from non pin-heads who seemed to have a real new-found interest in hearing how the machines worked and that there are actual rules for each. Thanks Ryan and Nick for all the hard work. You guys rock! In other news, it's been a scary time - the USPS appeared to have lost the second box of books. It was originally scheduled to be delivered Monday of this week, but fell out of the tracking system in an eerie repeat of the last box. If you are using Media Mail you are going to have lots of problems with lost mail and slooooow delivery. If you are using Priority Mail you are just having bad luck. FINALLY! I got a notification that the second box arrived today! (Glamour shot of some of the books before unwrapping). As soon as I got home from work, I ran inside, said hello and good night to the family, and began wrapping orders. 3/4 of this shipment are ready to go right back out the door (all outstanding orders). Thanks everyone for your patience, and sorry again for the wait. Good News!! Do you know for sure which shipment this is? Could it be the first lost set? I do and it for sure is the second set. Aside from the tracking number, I asked Ryan to change up what he sent slightly and the changes were apparent. Awesome! I am looking forward to receiving my copy! WOW! The USPS sure dropped the pin-ball on this one. It ain't fair, I tell you! It ain't right, I tell you! Ryan and Nick stepped way over the line to do something good for the pinball community and on their first issue they get tilted! Why is it that no good deed goes unpunished? 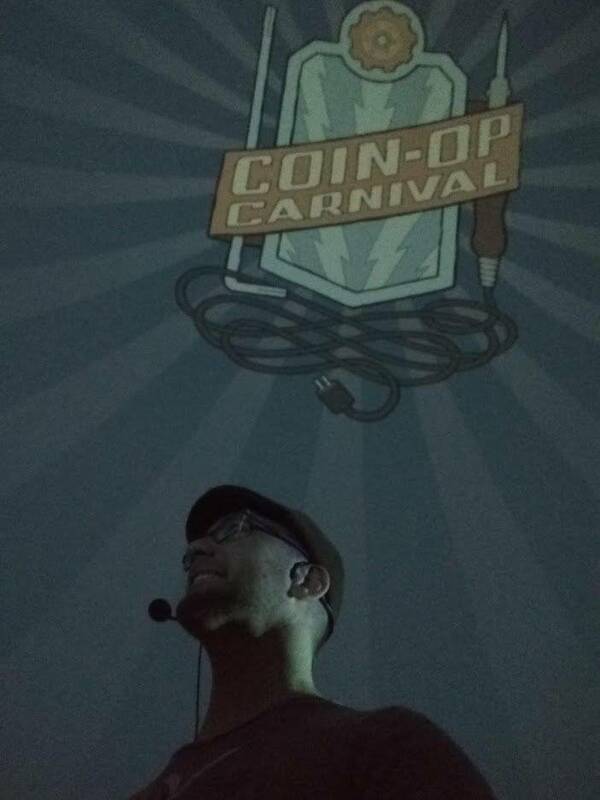 I know Ryan well enough to know that a silly thing like the money, even $1500.00 of inventory, wouldn't stop him on his quest to bring this enlightening and educational Coin-Op Carnival: Electrifying Tales of Mechanical Contraptions book to the masses. It's good to see that this 'TILT' does not disqualify a player and you are back in the game. Bravo to you sirs! I have been waiting for the initial rush of book orders to be finished before I ordered my copy. And now it is time. I want you to know that I will be sending you a little extra for my book. It's not a lot but it will help, if only a little, to defray the costs of your loss. If the impossible happens, and the books show up, please keep the money and use it for your second edition. It ain't right I tell you! It ain't fair I tell you! Ryan and Nick stepped way over the line to do something good for the pinball community and on their first issue they get tilted! Why is it that no good deed goes unpunished? And an extra +1 for such an AWESOME gesture!